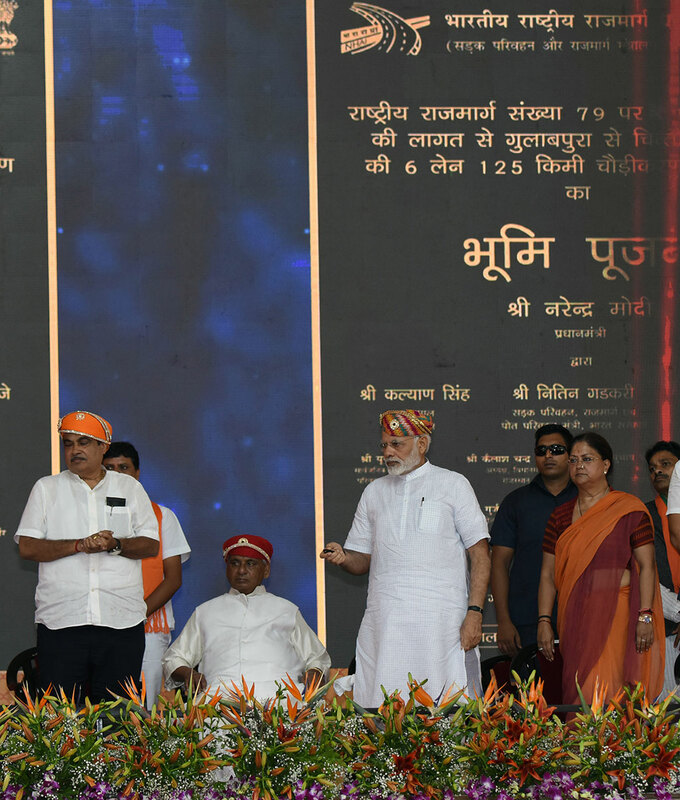 With Prime Minister Shri Narendra Modi inaugurating and laying foundation of several major highway projects at Udaipur on Tuesday, a new chapter was added to the story of progress of Rajasthan. 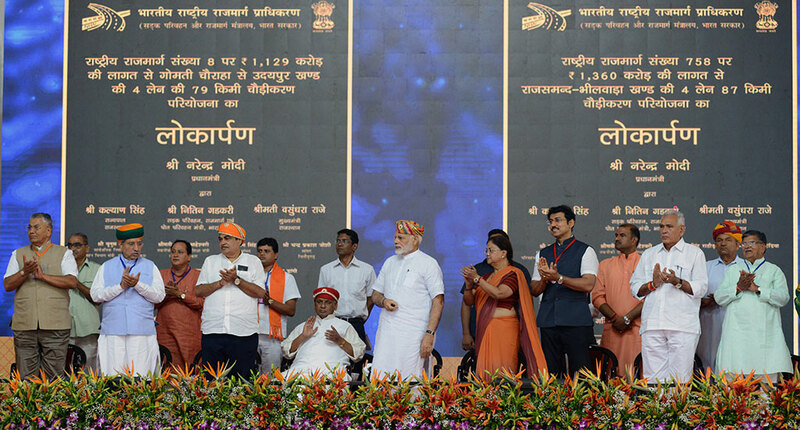 The PM himself said that launch or ground breaking of so many projects in a single day was a unique thing in the state’s history. 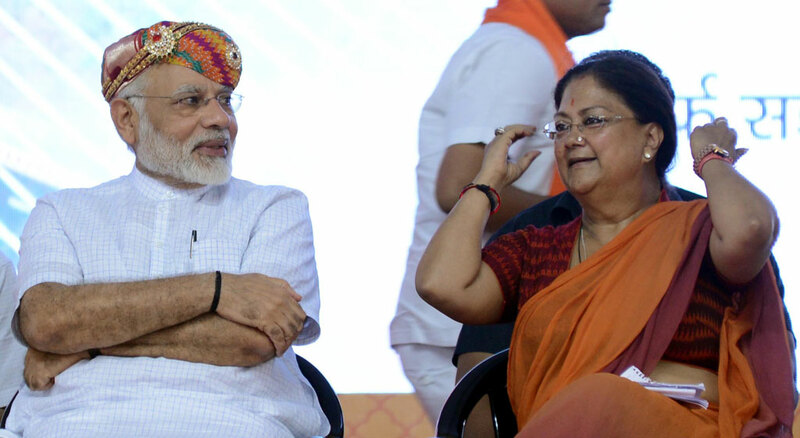 All the projects being founded here would be completed within the stipulated time, he said, further asserting that Rajasthan was now all set for the change. 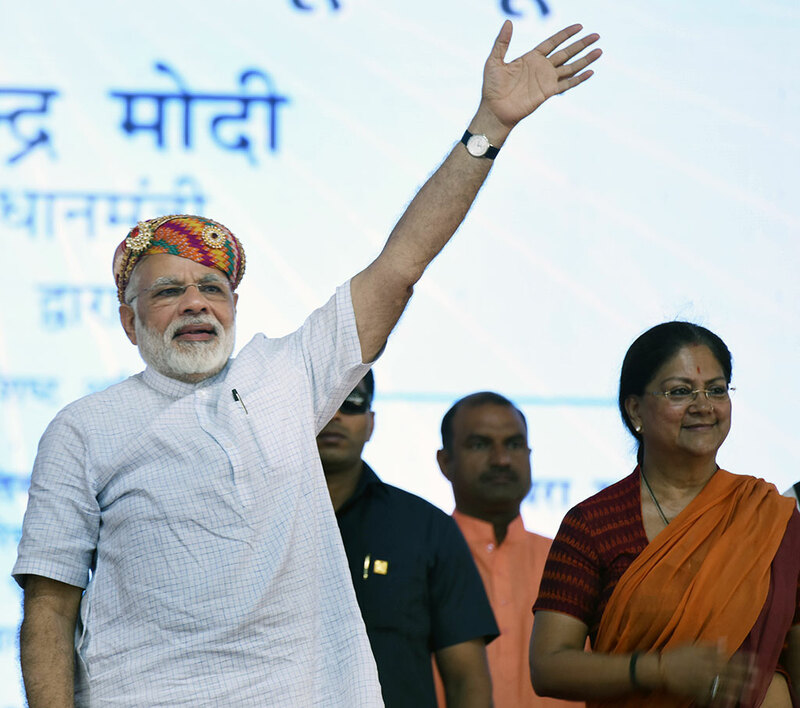 The PM inaugurated several projects costing 5,610 crore rupees including 6-lane Cable Hanging Bridge on Chambal River at Kota, 4-lane Gomati Chauraha to Udaipur and 4-lane Rajasmand-Bhilwara National Highway (NH) projects. He also laid foundation of NH projects worth 9,490 crore rupees including Jaipur Ring Road project with construction cost of 1,668 crore rupees and 4-lane Barr-Bilara-Jodhpur NH costing 1,249 crore. Speaking on the occasion, the Prime Minister assured people affected by natural calamities that the Union Government stood by them at this hour of difficulty. He said that the state government had send a report to the centre on damages caused by flood following which a high-level team had already visited the state. 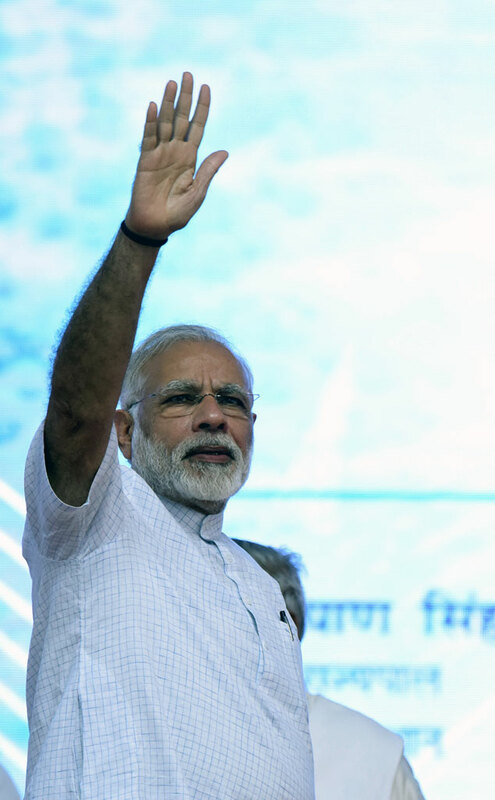 The Prime Minister said that projects worth over Rs. 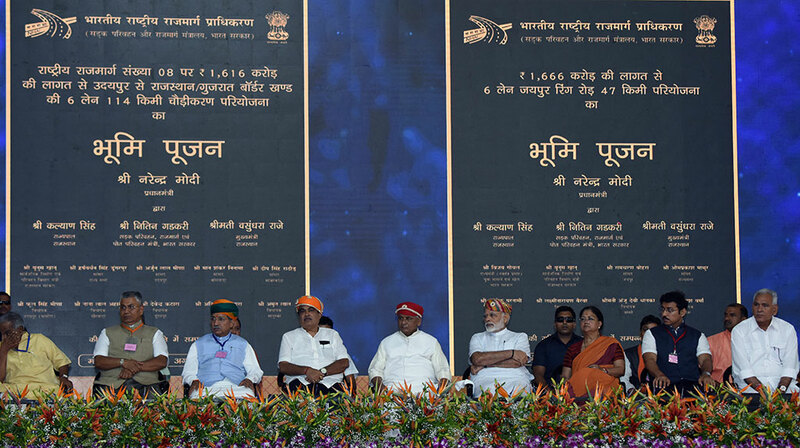 15,000 crore, either being inaugurated or initiated, would infuse new energy in the lives of the people. He said that projects having cost of 9,500 crore rupees were completed by our government in three years time were dedicated to the public today. In coming days, NH works worth 9,500 crore rupees would be completed. “Generally, projects once started, but not finished in time, result in increased construction cost. But this would not happen now and all the works initiated would complete as per the schedule,” he said. 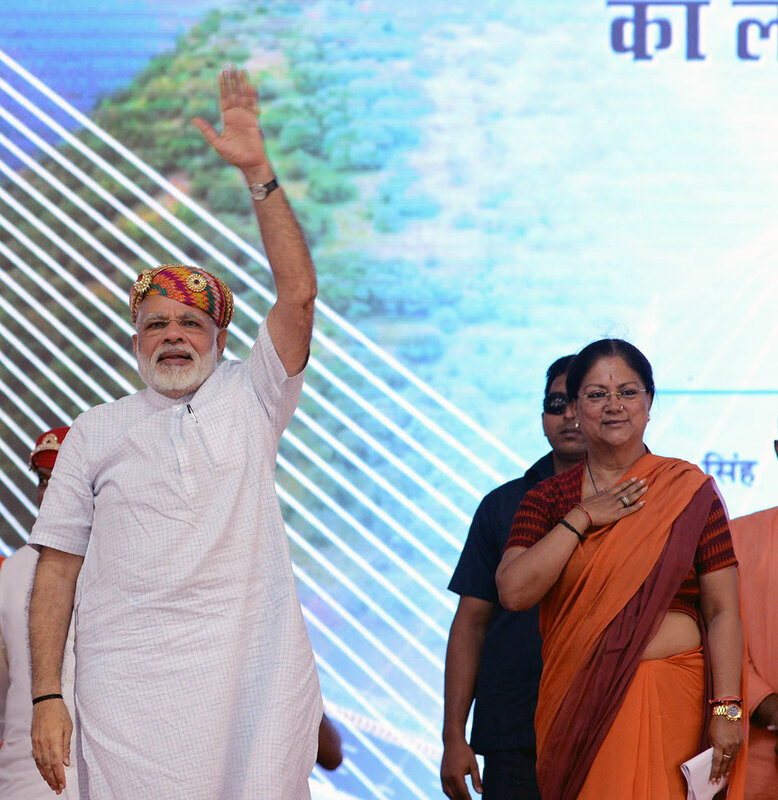 PM Shri Modi underlined tourism as a big strength of Rajasthan and said that every corner of the state had a natural potential to attract tourists. He said that global tourists come here to visit Lakecity of Udaipur, religious city of Pushkar or sand dunes of Jaisalmer. Also, it was the land of lords Shrinath Ji and Ekling Ji. He said that the network of roads being laid in Rajasthan would boost tourism in the state and more employment opportunities would be created. 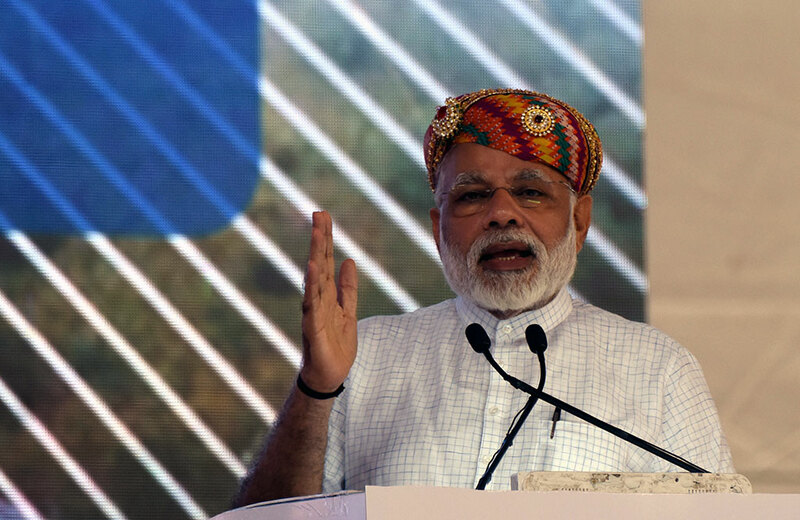 Shri Modi expressed gratitude towards the historical icons of ‘Veer Bhumi’ of Mewar like Veer Shiromani Maharana Pratap, Bhaktimati Meera Bai, Jhala Maan, Bhamashah, Hakim Khan Soor, Panna Dhay, Paathal and Peethal. The Prime Minister said that Goods & Services Tax (GST) was a major example of changing the system. He said that the countrymen presented a unique model before the country by adopting to it. He added that GST would result in increased income of Rajasthan and the government would be able to spend more on welfare of the poor. Addressing the function Chief Minister Smt. 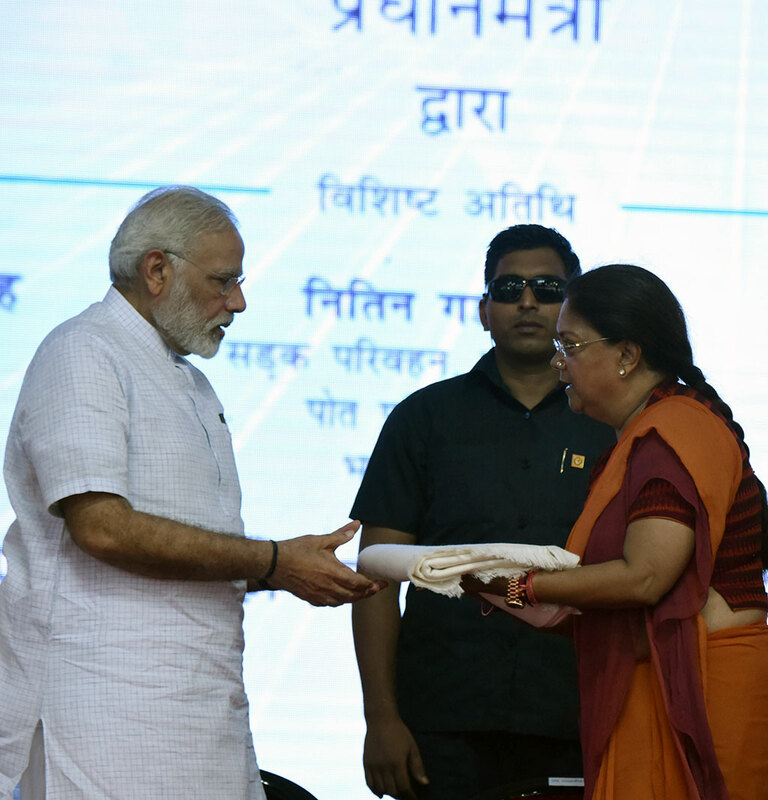 Vasundhara Raje expressed gratitude to the Prime Minister Shri Modi for supporting Rajasthan’s development. She said that the Union Government was making a new India under the PM Shri Modi’s leadership. His vision and strong will led country to emerge as a global power. She said that as a part of Team India, Team Rajasthan was also developing an empowered and strong Rajasthan, in which all the sections of society progress. The CM said the state government had changed scenario of education in Rajasthan. She said that the state government initiated various schemes keeping women, youth, farmers, villages and the poor at the state which were beneficial for all sections of society. She said that the schemes such as Bhamashah, Bhamashah Health Insurance, Rajshri, Skill Development, GRAM, Rajasthan Festival of Education, reforms in education, DigiFest etc were historical. She thanked the Union Minister of Road Transport and Highways Shri Nitin Gadkari for providing funds to strengthen road network in the state. The Chief Minister could not her grief on sudden demise of Mandalgarh MLA Ms. Kirti Kumari even before the PM. With a heavy voice she said that had Ms. Kumari been alive, she would have been present in this meeting as she was tasked with the PM’s rally. She was very popular and was evertime ready to responsive in order to resolve grievance of the people in her area. Smt. Raje also remembered late Prof. Sanwar Lal Jat as a great leader of farming community. Prof. Jat served both the centre and the state governments and his demise is irreparable. She further paid tribute to late Rajasthan State Khadi & Gramodhyog Board Chairperson Shri Shambhudayal Badgujar. The Union Minister of Road Transport and Highways Shri Nitin Gadkari said that the total construction works of National Highways completed during past three years in Rajasthan, were more that were finished in 50 years. He said that earlier there were only 35 National Highways, which had now become 85. During these three years, 44 big projects worth 10,430 crore rupees were completed. 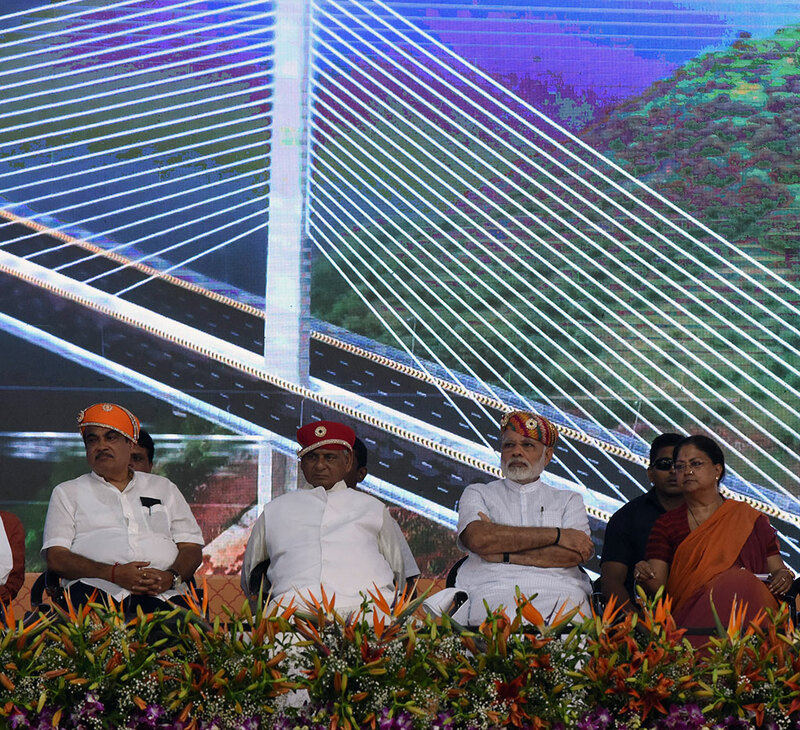 Shri Gadkari said that Kota Hanging Bridge was a link for the East West Corridor. Problems were duly resolved to construct this project with modern technique. Now heavy vehicles would by-pass Kota city. Similarly, the issues of Jaipur Ring Road had been resolved and now this projected would be completed as per the schedule, he said. He added that Jaipur-Delhi Highway works would be completed in next six months. Prior to this, Home Minister Shri Gulab Chand Kataria welcomed the PM and other guests. 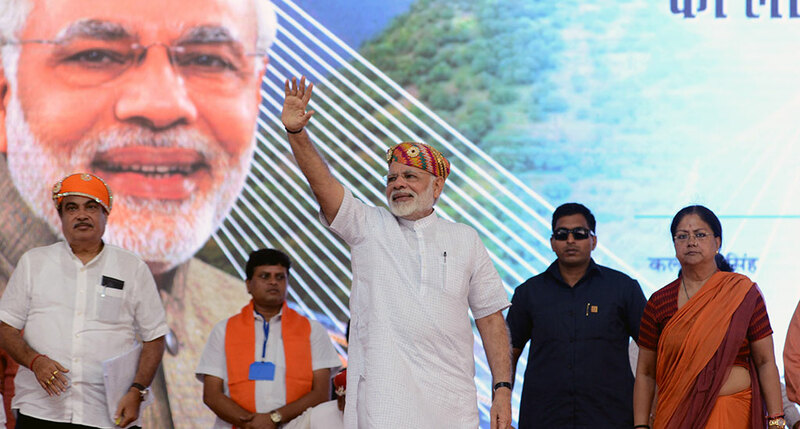 He said that during past three years Mewar region got development funds worth 3,300 crore rupees. During this, Governor Shri Kalyan Singh, Union Minister of State for Finance Shri Arjunram Meghwal, Union Minister of State for I&B Shri Rajyavardhan Singh Rathore, Union Minister of State for Law & Justice Shri PP Chaudhari, Union Minister of State for Civil Supplies Shri CR Chaudhari, Members of the Council of Ministers of Rajasthan, Members of Parliament and other public representatives and officials were also present. After the CM welcomed the Prime Minister Shri Modi oh his arrival at Maharana Pratap Airport in Dabok, the PM took her along in his helicopter to the public function. Thereon, both went to Pratap Gaurav Kendra and then back to Dabok in the same helicopter. While seeing the PM Shri Modi off at Maharana Pratap Airport, the Chief Minister Smt. Raje presented him a book ‘The Hidden Life of Trees’ written by wildlife expert Peter Wohlleben.